When you are looking at the restaurants in Vancouver and trying to decide where you should go to get a good dinner for yourself and your family or friends you are going to want to consider our place. We serve up the very best Indian food around. From Tandoori Prawns to Eggplant Bhartha, we have it all. You are going to love the authentic flavors that we serve up. Every dish that we make is made with care. We put a lot of effort into making our food taste the very best that it possibly can, and you are going to have a great dining experience when you come in and let us cook for you. 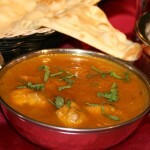 Even if you are not a big fan of Indian food come into our place and try out our dishes for yourself. They will convince you that we are one of the best Vancouver restaurants. Our dishes will prove to you just how great Indian food can be. Start off with some Khumb Shorba, order one of our amazing entrees, and then end the night with one of our special desserts – choosing from Mango Cheese Cake, Ras Malai and more. You are going to love every bite that you eat when you dine in our restaurant. Out of all of the restaurants Vancouver you will be pleased with your choice to dine with us. Bring your family or friends and dine in our place. The food and atmosphere will make you have a great night. You and your family or friends are going to have an amazing time together as you eat great food. Those of you who love Indian food already will love how authentic our food is, and even those of you who have never thought that you liked Indian food before will be converted. Our food is just that great. The people Delhi are in love with one of their favorite national dishes known as Butter Chicken. This appetizing and tasty meal was first created India during the time of the Mughal Empire. Butter chicken came about by accident. It was created by the cooks at a famous restaurant called the Moti Mahal. They would recycle left over chicken juices by adding butter and tomato to the broth. This created a sauce. The cooks then took the sauce and tossed it around with tandoor chicken pieces. The mixture that they created became known as Butter Chicken. After a few patrons at the restaurant tasted the new creation it quickly became a big hit. 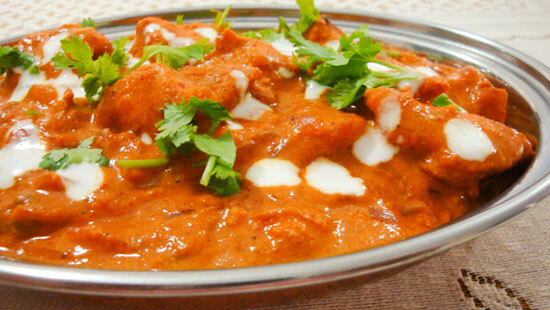 Now, many people around the world are familiar with the tasty dish known as Butter Chicken. Akbar’s Own is an Indian restaurant located in Vancouver, Canada. This particular dine-in establishment creates exquisite Indian cuisine that is authentic and appealing to the western palate. Locals that visit Akbar’s Own will be able to sit in and enjoy the many tastes of India. 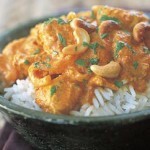 We have one of the best Butter Chicken recipes around. The Butter Chicken is cooked to perfection. 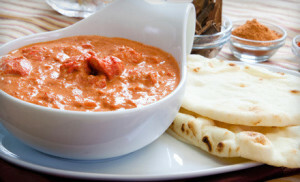 Whereas traditional Butter Chicken requires the meat to be left on the bone; Akbar’s own unique recipe uses the boneless variety. A patron will not have to deal with bothersome bones while enjoying their meal. They will be able to eat their Butter Chicken covered in a creamy tomato sauce without fuss or problem. With each bite a person will quickly discover why Akbar’s Own is one of the best butter chicken restaurants in all of Vancouver. This dish is reasonably priced and customers can purchase this tasty meal from 11:30 a.m. to 10 p.m. Monday through Friday and from 12 p.m. to 10 p.m. on Saturday and Sunday. Akbar’s Own can prepare your butter chicken for carry out orders. If you are searching for a different type of dish that is not a common part of your everyday dining experience, then you should try Akbar’s Own Butter Chicken cuisine. Chances are, you will not be disappointed once you do. 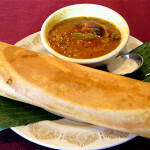 Are you looking for the ideal Indian restaurant to give you that fulfilling taste of Indian cuisine in Vancouver? 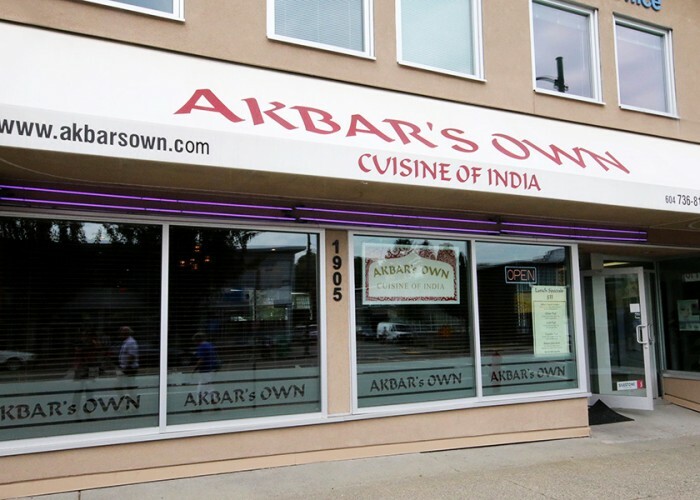 Here at Akbar’s Own, we are the premier Indian restaurant in Vancouver with a reputation for the quality of our food and services – both our local and foreign customers have been recommending our services on leading sites such as TripAdvisor and UrbanSpoon. However, one would naturally ask, what leaves such an appealing and lasting impression on our clients? Moreover, can one expect all the goodies promised by our past clients on review sites such as Yelp? 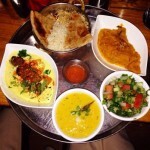 Here is an overview of what to expect when you visit Akbar’s Own. The quality of our Indian food and the complementing tastes and flavors is mostly what keeps the clients coming back for more. We endeavor to bring the rich taste of the Indian cuisine right to Vancouver by utilizing our vast cooking expertise and experience into every dish. To this end, we use a vast array of traditional Indian recipes developed for many years and passed down from generation to generation – we are a family-owned-and-run restaurant. We also make use of authentic Indian ingredients combined with some of the fresh and top quality local ingredients to give our dishes an irresistible taste and aroma. Our team of dedicated and experienced staff also goes a long way to ensuring you enjoy quality services to go with the delicious dishes. To this end, all our staff members are polite, efficient, and very helpful with anything that may be bothering you. Akbar’s Own also ensure you have a serene environment where you can enjoy your meals in peace and comfort. As such, the restaurant is clean, neat and decorated with colorful décor to offer you a spectacular view. It is also spacious for free movement and speech – put your guard down, relax, and feel at home. To this end, you can enjoy a delicious meal at Akbar’s Own for any occasion, be it a date, an anniversary, or just as a family. You can enjoy our delicious Indian dishes at the restaurant or even at home, thanks to our dine-in and online ordering options. If you wish to dine in, simply walk into our restaurant and one of our staff members will welcome and serve you in a timely manner. You can also make a reservation in advance to have your specific dish and table ready and waiting for you by the time you settle down for your meal at Akbar’s Own. 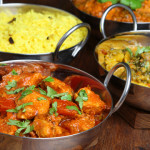 Alternatively, you can visit our website on akbarsown.com and order the Indian dish of your choice from our wide list of options. Once the order has been placed, your food is neatly packed and delivered right to your doorstep – there is also an option to collect the food yourself if you so wish. We certainly offer the best Indian cuisines in Vancouver, but we nonetheless also offer some of the best prices in the city. 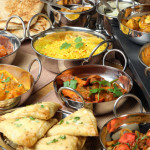 What’s more, the different foods and beverages come at different prices, but they all leave a great taste behind – this ensures virtually everyone can get a taste of our delicious Indian cuisine. 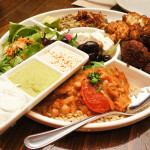 If you are looking for the best restaurants in Vancouver, look no further than Akbar’s Own. You are guaranteed a wide range of delicious, authentic, and satisfying Indian dishes at the best quality and prices in the city. Online ordering in Vancouver is available at Akbars Own Indian Cuisine. Here is why you might want to try our online ordering system. Vancouver has a wide variety of delivery restaurants that you may choose to place an order online and have fresh, hot, delicious food at your home in less than one hour. 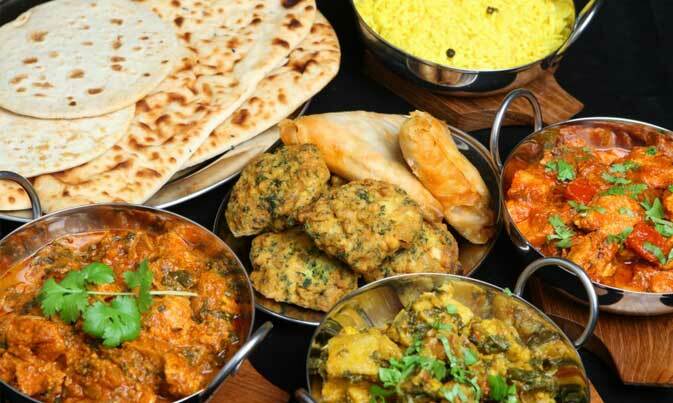 If you and your guests enjoy Indian food, then Akbars Own Indian restaurant in Vancouver will accept your order in person, by phone or online, plus it can be delivered right to your door. 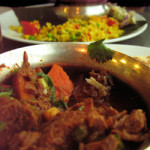 The Akbar’s Own Cuisine of India Restaurant is the perfect place for online ordering in Vancouver. Prices at the Akbar’s Own for online ordering in Vancouver are quite reasonable and this restaurant offers a variety of easy payment options that you choose to pay with credit or debit cards. You and your dinner guests may enjoy Tandoori Chicken specially marinated in Indian spices and grilled to perfection, served hot and ready to eat right at your home. 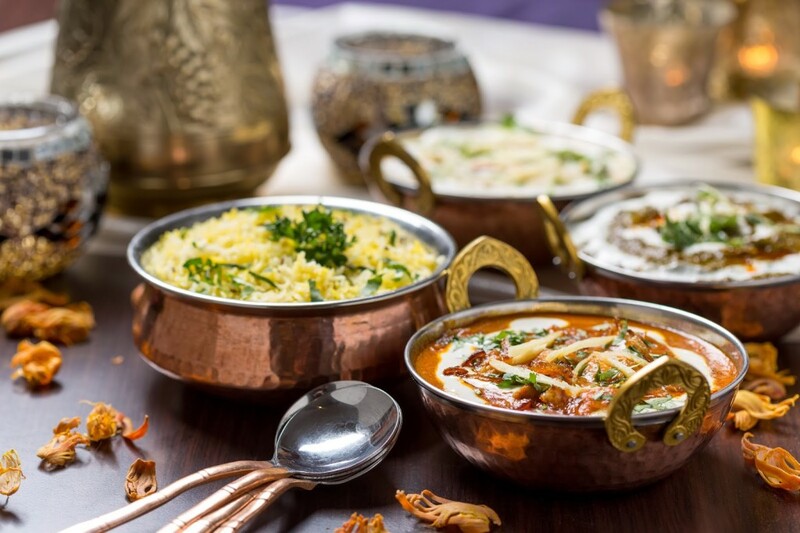 Vancouver online ordering from Akbar’s Own Cuisine of India Restaurant is just perfect if you are planning a special occasion. 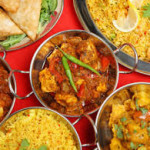 Fresh Indian cuisine served hot and delicious right to your home or business in less than one hour is really convenient for those busy working professionals who have no time for cooking delicious meals at home. Try some delicious desserts to satisfy your sweet tooth like rice pudding, ice cream, pastry balls and more. There is something for the whole family to enjoy at Akbar’s Own. It is simple, easy and fast for Vancouver online ordering restaurants. Their professional wait staff are waiting to take your order now. You don’t have to waste hours of time over a hot stove cooking delicious meals when they can be prepared and delivered to your door in less than an hour for a nice affordable price. If you have been searching for fine, authentic indian food, then you have come to the right place. If you choose to visit Akbar’s Own and dine-in, then see the special promotions offered like dinner for two. This elegant and charming Vancouver restaurant is open 7 days a week until 10pm for those who like to snack late. If you are searching for restaurants near West Broadway, Akbar’s Own Cuisine of India is just the place you are looking for. Family owned and operated, Akbar’s is considered the premier restaurant for flavorful and authentic Indian food in Vancouver. Known for delicious food, excellent service, fair prices, and comfortable seating, it is easy to see why both Vancouver residents and visitors love to eat at Akbar’s. Our family recipes incorporate just the right blend of herbs and spices with the freshest local ingredients to create mouthwatering Indian dishes. From creamy butter chicken and prawns with just the right hint of tomatoes to tandoori chicken that is marinated in authentic spices and grilled to perfection, as well as a number of tasty vegetarian specialties, there is something for everyone. If you are in the mood for lamb, we have several dishes to choose from, including the tangy lamb vindaloo and the lamb coconut infused with the perfect amount of fresh garlic and ginger. Start your meal with an Indian beer and end it with a bowl of yummy mango ice cream or kheer for the full Indian experience. Although our prices are reasonable, we also offer lunch and dinner specials that cannot be beat. We designed Akbar’s to ensure a welcoming atmosphere that is perfect for first dates and family dinners, as well as everything in between. Comfortable seating with tables situated far enough apart to provide privacy and relaxing lighting are just a few of the ways we have set Akbar’s apart from the competition. Our pleasant and attentive staff is happy to accommodate your needs and offer suggestions for anyone who rarely has the opportunity to experience an authentic Indian meal. Several members of our staff have been here since the first day we opened and it shows in the excellent service they provide to all patrons. 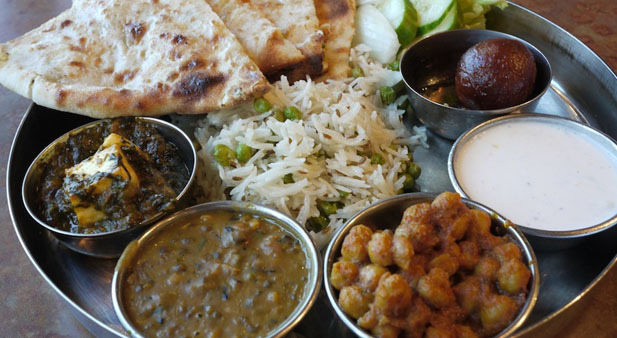 If you are searching the selection of West Broadway restaurants for a truly traditional Indian meal that tastes great at an affordable price, Akbar’s Own Cuisine of India is the perfect place to go. We do offer advanced reservations and encourage you to call ahead to ensure a minimal wait time. Come visit us at Akbar’s Own, as we may be the best West Broadway Restaurant out there. We are definitely among the best restaurants in the Vancouver area. At Akbar’s Own, we are a family run restaurant in the heart of Vancouver that is committed to creating the best experience possible for our wonderful customers. Dining with us is an unforgettable experience that anyone can enjoy. We prepare our food fresh with only the best ingredients possible. You can expect wonderful service in a one of a kind atmosphere, where you can enjoy good food with friends and family. 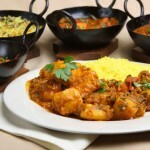 We serve many traditional Indian dishes, as well as some new, contemporary dishes that are unique to Akbar’s Own. These dishes are loved by our loyal customers, as well as those who are trying us out for the time. Dining at Akbar’s Own is a wonderful experience that cannot be fully comprehended until you have dined with us for the first time. Dining with us is definitely not a choice that you will regret. 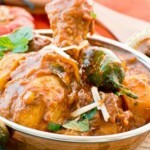 We serve a wide variety of Indian dishes at Akbar’s Own. 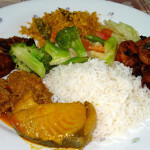 You can get a dish that specializes in vegetables, chicken, beef, lamb, rice, or seafood. No matter which one you choose, your dish will be freshly prepared and delicious. You can choose between mild, medium, and hot sauce for your dish as well. We offer a large variety of soups, salads, breads, sides, and appetizers that you can choose to go with your meal. We like to offer our customers many different choices, so they can choose a meal that specifically fits their preferences. After your meal, most of our customers like to finish off with one of our famous desserts. We offer five incredibly delicious desserts, such as Mango Ice Cream and Mango Cheese Cake. Come try out some of dishes, as it is almost guaranteed that you will enjoy them greatly. Come dine with us at Akbar’s Own. We are a family run restaurant in the heart of Vancouver, just a short walk away from some of the city’s most popular venues. We have a reputation has one of the finest Indian restaurants in the Vancouver area. The atmosphere that we provide for our customers at Akbar’s Own is second to none. When you dine with us, you can always expect the freshest an highest quality ingredients, herbs, and spices that are available. 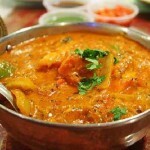 We specialize in original, yet traditional, Indian food. There are many reasons that we are one of the most popular restaurants in Vancouver, but you will have to come and discover them for yourself. Come join us at Akbar’s Own for a wonderfully unique Indian food experience that will keep you coming back time and time again. 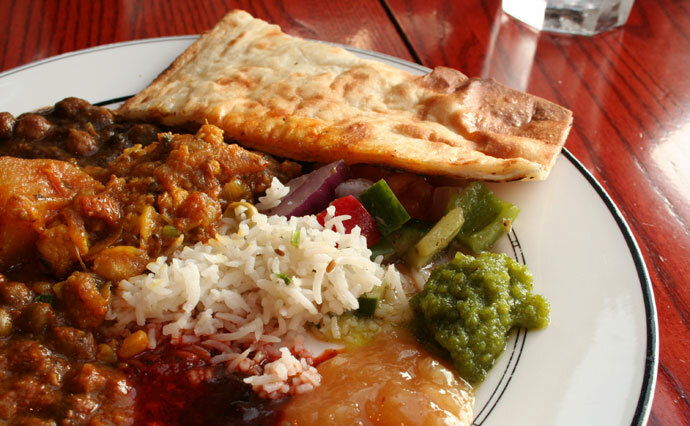 Here at Akbar’s Own, we serve a large variety of Indian dishes. You can start your meal with your choice of one of our many soups, salads, and appetizers, such as our Khumb Shorba or famoud Calamari. We also offer eight different types of Tandoori Breads that you can choose from. At Akbar’s Own, we offer an extensive selection of entrees that specialize in vegetables, chicken, lamb, beef, seafood, or rice. All of our dishes are served with your choice of mild, medium, or hot sauce. You can also choose Mango Chutney, Raita, Achaar, Pappadum, or the Chutney Trio as your side order. You can finish your meal off with one of our tasty desserts, like our Mango Ice Cream or Mango Cheese Cake. If you dine with us around lunch time, then there are a number of lunch specials that are available for you to order. 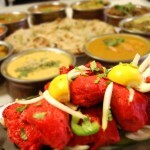 All of our food is freshly prepared, and it is known as being among the best Indian food in the Vancouver area. 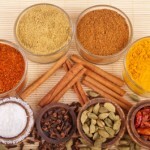 Here at Akbar’s Own, we provide you with the best Indian food that is made from the freshest ingredients possible. Our food is an unforgettable experience that people of all kinds have come to love and enjoy. 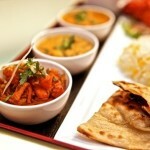 We even deliver our food to help experience great Indian food in a way that is convenient to you. We care about our customers, and we want them to have the most pleasant experience possible when they choose to dine with us for traditional Indian food. You can expect the highest quality Indian food in Vancouver, which is made from fresh ingredient and seasoned with high quality herbs and spices. Our cuisine is like no other restaurant in the Vancouver area. 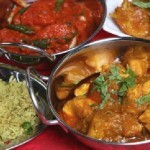 We have our Indian food uniquely prepared by adapting traditional recipes with our own specialties. Come see what makes the food at Akbar’s Own so good, as we are known as one of the best Indian restaurants in the Vancouver area. We have many popular dishes that people love at Akbar’s Own. They range from vegetables to chicken to beef to lamb. We also have a great variety of appetizers and side dishes that do an excellent job in complimenting our main dishes. All of our dishes are served with your choice of mild, medium, or hot. We want our customers to have the best experience possible, so we offer many choices to fit their preferences. After your meal, you can top it off with one of our famous desserts. Our desserts are loved by almost everyone throughout Vancouver, and they cannot be compared to desserts served at other restaurants. Our Mango Cheese Cake and Ras Malai are both two desserts that customers love. The Ras Malai is an Indian style cheese patties that is served in saffron and cardamom cream. Come try our delicious cuisine either dining in at our wonderful restaurant or through delivery at your convenience.